solid and definite floor of Atheism. Others wander from faith to faith, seeking answers and identity, gathering different pieces of belief here and there but never quite finding fulfillment. Despite the science that roots against religion, humans can’t deny the restless tug that turns their eyes to the sky. For those who have soldiered through the confusion and now house a vibrant faith, religion is more than a set of guidelines and “thou-shalt-not’s” – it’s a celebration of the fact that humans don’t only exist as physical beings, but as spiritual ones as well. 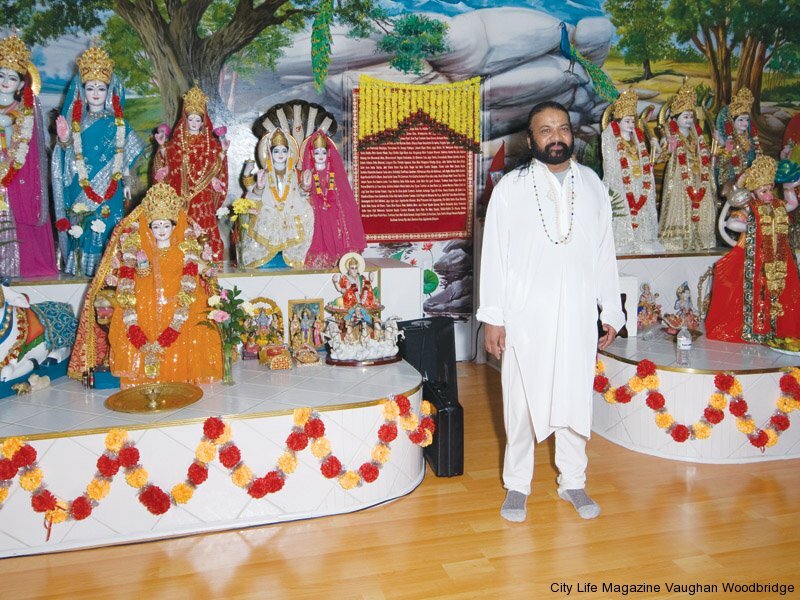 “There are two sides to our nature,” says Mahindra Tiwary, a Hindu sage at the Toronto Hindu Dharmic Sabha in Etobicoke. “One is physical and the other is super-physical. The super-physical is in the spirit in all of us.” Though Tiwary’s words are rooted in a Hindu perspective, his awareness of the non-physical side of humanity is a knot of truth that connects with all other religions: while flesh, muscle and bone comprise our physical bodies, it’s the soul that makes up our spiritual bodies. The former is nourished with food and drink; the latter is fed with faith. It’s also a continuous reminder of what our priorities in life are, says Rev. 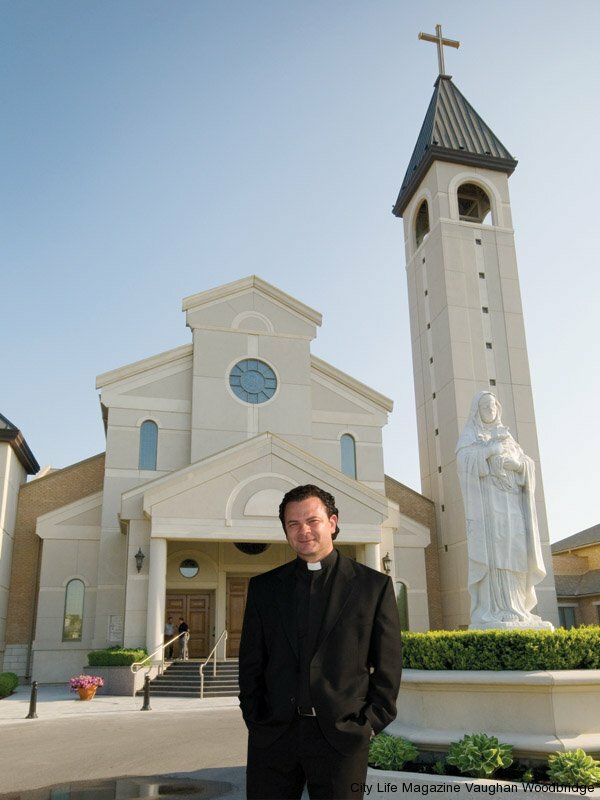 Donatello Iocco of St. Clare of Assisi Parish in Woodbridge. 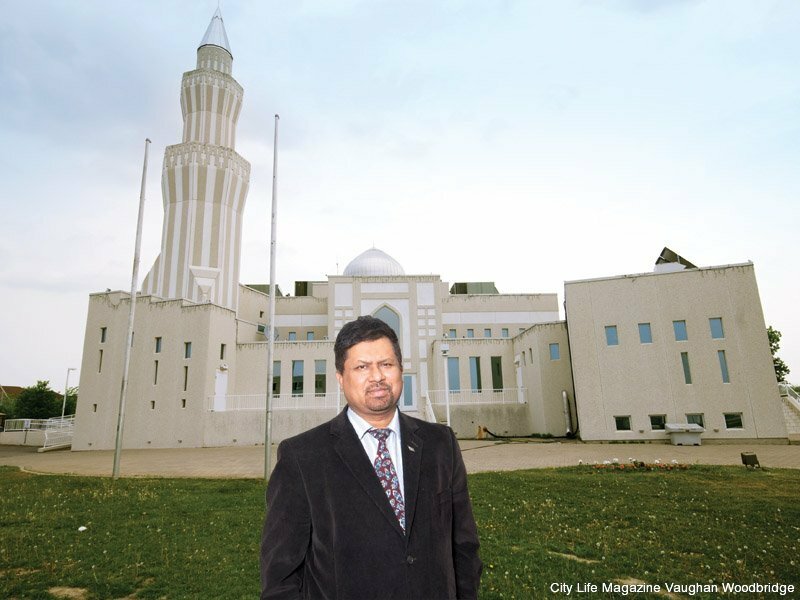 “Faith helps society focus on what’s important: God, and our neighbour,” he explains. “It helps us make good and right decisions that can benefit the well-being of society.” And these words don’t stand strictly for the Catholic faith. 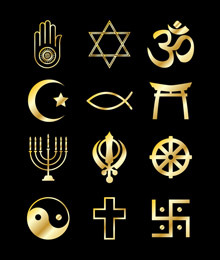 Countless religions carry their own translations of the Golden Rule: “Treat others the way you wish to be treated”; “think of your neighbour first”; “turn the other cheek”. This “golden” state of mind stretches from religion to religion, allowing faith communities to take on a family-like feeling bursting with selfless love. When people gather in prayer, worship or meditation, among them blossoms a tightly knit bond that allows for a peaceful environment of genuine care. This is voiced in the words of Rev. 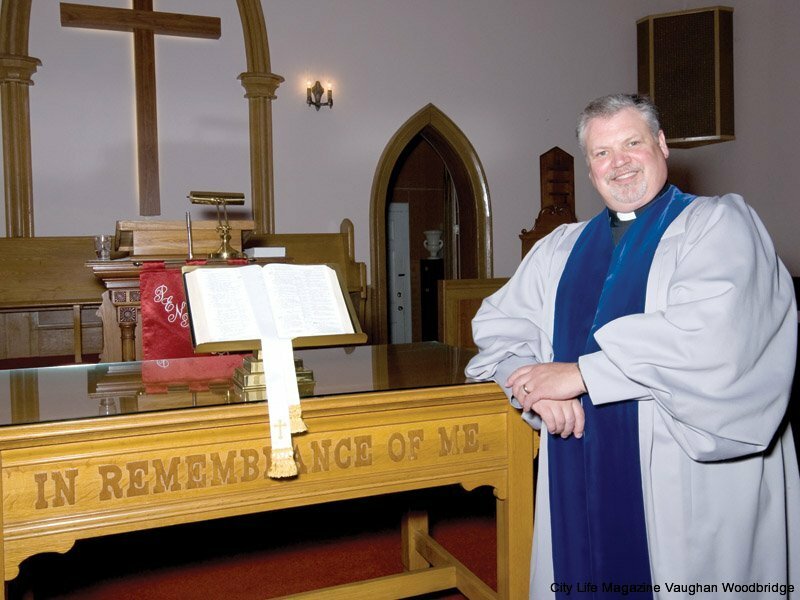 Robert Royal of St. Andrew’s Presbyterian Church in Maple. “The Christian mission is characterized by a quote from Jesus in the Bible’s New Testament: ‘A New command I give to you: Love one another,’” he recites. “At St. Andrew’s, reaching out to our community is of utmost importance. When one is looking for friendship and a welcoming church home, we offer them a warm atmosphere of Christian hospitality.” In our society’s rushing, pushing race through the everyday, the haven of spiritual enrichment and care found in church communities such as St. Andrew’s could act as a defibrillator to a faltering soul. 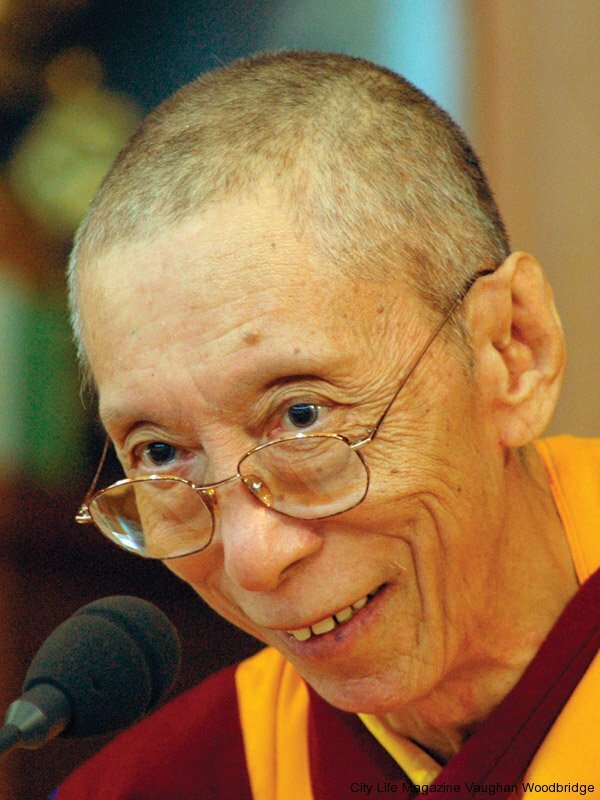 Indeed, one may find that by stepping into a spiritual community – even if just for a few hours – they will leave with an enhanced understanding of morality and a deeper respect for humanity in general. Once coming face to face with the possibility of a Higher Power, and encountering the love-bound community of believers that stands beneath it, one may experience a renewed sense of wholeness they hadn’t known was possible. Of course, tending to our spiritual halves doesn’t simply result in a polished, Heaven-worthy collection of morals; committing to a string of beliefs is the start of a lifelong journey of learning, improving, and of course, discovering. “It is human nature to want to understand everything,” says Tiwary. “We want to know the how’s and why’s.” While the focus on morality is a large piece of religion’s puzzle, the road to self-discovery is another significant part. Religion helps us to get to know our creator, to cosy up to our purpose in life. “By believing in a higher power, [we can] reflect on who we are and where we came from, why we are here and where we will go when our life on Earth concludes,” continues Tiwary. “A person’s belief in religion can explain a lot of those things that we can’t ourselves. It gives meaning to life and a way of how it began.” Giving some attention to the spiritual body may act as an emotional awakening. The contrast among religions may be as striking as day is from night, but every faith speaks words of truth. Spirituality hands us the key to unlocking life’s most rusted secrets, and leads us down the path to discovering what humanity is. It helps us to realize that God, an abundance of goodness and a wealth of purpose, is hidden in each of us. God emerges in glimpses as people let the goodness within them shine. By treating a homeless person to a meal or lacing up for a charity marathon, God is given a face in each of us. He resides in those who take the time to appreciate the intelligent beauty of a butterfly’s wings or the simple fascination of dusk. God was there on the day the Twin Towers fell. He was crashing through the rubble in the form of a firefighter who was risking her life to save the people buried beneath. He was there handing out care packages to the victims’ families, and volunteering to clear the carnage from the streets. He was the man who ran from the safety of the sidewalk, dropping his suitcase to help a bleeding being onto a stretcher and into an ambulance. In the middle of this perplexing abyss of belief or non-belief is one undeniable truth represented in all religions: human beings were designed to believe. Amanda Storey holds to the Christian faith and studied English literature and psychology at Tyndale University College & Seminary in Toronto, Ontario. The opinions expressed herein do not reflect the opinion of Dolce Publishing Inc. or promote the act of converting. They are simply the opinion of the author.